> Is Munchkin Dungeon a miniature based Dungeon crawler game with the Munchkin theme? I hope it's not just a bunch of cards, that's what the original game already is! IIRC, Munchkin Dungeon was originally a Munchkin Arcadia Quest game. There *is* a Munchkin CCG, by Eric Lang, that is a card-only game. Is it me, or do all of CMON's games look the same now? The gal with the pistols ain't so bad, but not really a fan of the scorpion thing. This is what happens when Adrian Smith is in charge of your art department it’s all looking very samey but if it can crossover with Zc Invader then that’s a positive. 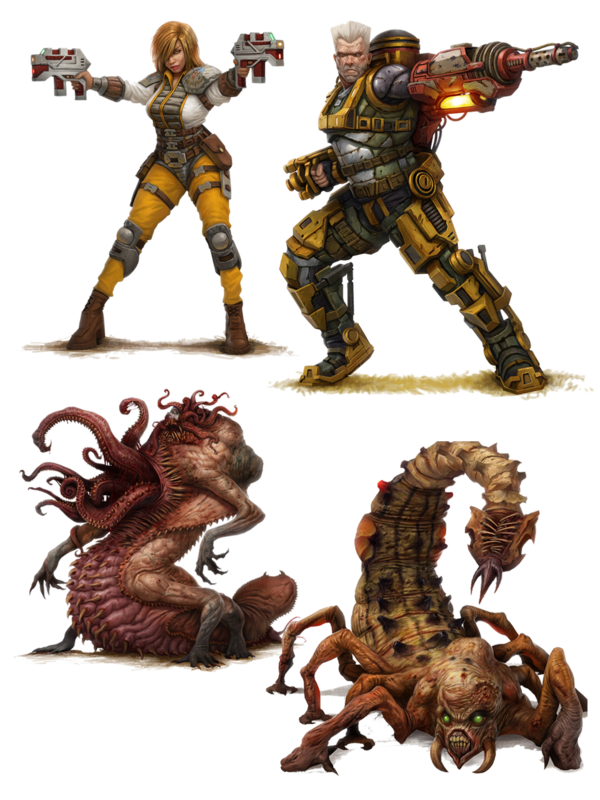 The Searsting (scorpion) looks a bit like a larger bone crab I guess they are keeping some of the Sedition Wars/Arms of Sorrow design as thats what some of the minis were designed for. I’ll be backing just for the minis I have a few in resin already but I’d like to have more of the cannon fodder type stuff. Making Adrian Smith their art department manager was a bad idea. Still so far looking better than ZC invaders. I do think their art direction has really suffered the last year or so - not sure on the cause, but I agree with the criticisms here. That scorpion-with-face model is extremely uninspired... especially the sculpted render at the top left of the first pic above. I will fully admit I do not like his style and technique, but the point of an art director is to guide/ shape and safeguard the branding of the companies art direction, not to turn all the companies art to whatever he would draw/ like to see. 100% agree with PsychoticStorm, Adrian Smith isn't doing anything good for CMON's visual identity. Agreed. Another easy pass for me. I should be happy with their change in art as it saves me a lot of money. So, the reason I love all of Adrian Smith's Warhammer/40k artwork is because he was working at the direction of a seasoned art director, and the reason I dislike most of his CMON art is because he is working at the direction of himself as art director? Do we now draw comparisons to Image Comics or Shatner directing Star Trek 5? > Is it me, or do all of CMON's games look the same now? They're just catching up with every Ameritrash dice-chucker ever. Which are all HeroQuest reskins. Except Project: ELITE. I think the scorpion thing looks neat. I've opened a KS thread for Project Elite so as to keep this one as general CMON news and rumours. "Living Dead Media and Image Ten are proud to partner with CMON to bring legions of fans a new way to experience Night of the Living Dead. And, Living Dead Media will be honoring George A. Romero by donating a portion of its profits to the newly formed George A. Romero Foundation known as GARF," said Steve Wolsh, CEO of Living Dead Media. 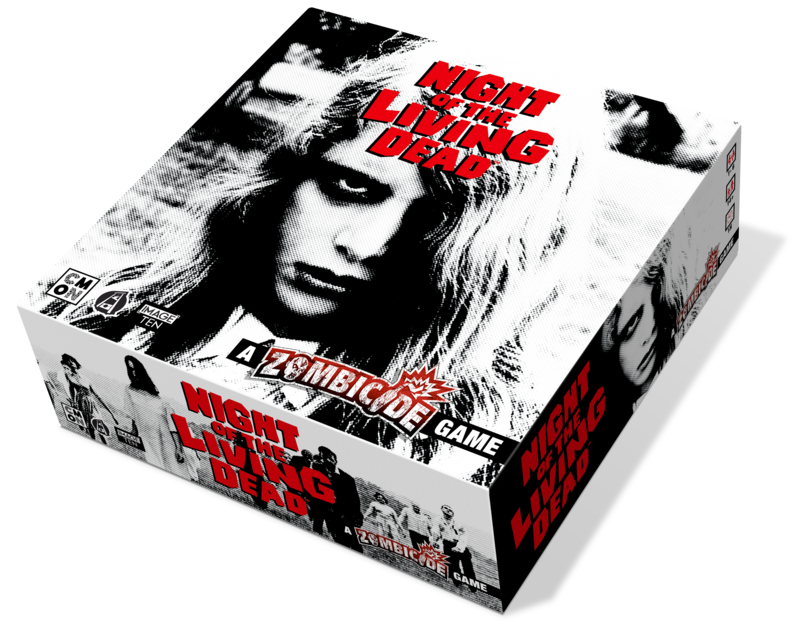 The announcement to create games based on Night of the Living Dead coincides with CMON Ltd.’s opening of their new L.A. office. From there, CMON looks to further work with licensors to create tabletop products. Earlier this year, CMON successfully launched the A Song of Ice and Fire: Tabletop Miniatures Game based on the NYT Bestselling book series by George R. R. Martin as well as Bloodborne: The Card Game based on Sony's best-selling PS4-exclusive video game, Bloodborne. In Q2 of 2019, they will be releasing a family tabletop game based on Hanna-Barbera’s classic Wacky Races cartoon series. The L.A. Office is being led by Geoff Skinner. Of his mission in L.A., Geoff Skinner said, "CMON is the premiere tabletop gaming company in the world, and I couldn't be more proud to help establish our footprint in Hollywood. By opening an office in L.A., we're looking forward to strengthening our licensor relationships in the film, TV, and electronic gaming communities, as well as to forging partnerships that will expand the narrative of our own IPs into television, features and animation." So, this is going to be based on the original Romero movie, and not the Tom Savini remake? So, I guess that means this time around zombies get to use weapons, will be afraid of light, and whoever plays Barbara gets to be hysterical the entire game while doing nothing. Good to see the Romero estate get some money from this franchise. The original movie lapsed into the public domain, although the other Living Dead movies were copyright'ed. There is currently a 50th (!) anniversary HD restoration on at some cinemas in the UK (preceded by a documentary) so they will hopefully be making some money from that as well (the documentary also showed footage of a mobile prequel which is officially licenced). I had sworn off Zombicide (with the exception of the final fantasy set) but this does have me intrigued as to make a faithful adaption will be quite a departure from regular Zombicide. I don't think most people are aware of how different the zombies in the original movie are from what was in the later ones. There's still vestiges of I am Legend in it, what with the zombies being afraid of light and all. Plus I could swear several zombies do use weapons in the movie. At least one does use a trowel to kill someone. You know what would be cooler? A Return of the Living Dead baordgame. It could be a base defense/ horde mode survival game where you have to keep the barricades up and fend off the unkillable zombies long enough for the military to launch a nuke. It'd be like Lost Patrol almost, where the point is more seeing how long you can last rather than if you can actually survive or not. You know what would be cooler? A Return of the Living Dead baordgame. I'm down for that (for the Linnea Quigley miniature), but only if the skeletons have perfect teeth. Like they they're redoing the exclusives as new sculpts. I wonder if this means those will go into general retail as Bloodrage probably still sells pretty decently. Woah, I'd like Stag Clan but not the rest. Mhm. So, just a smaller pre-order window campaign? If they're not being sold to other companies that'll continue the line, then they're dead.